The relocation and transformation of a London parish church. Every interaction with the past involves an alteration. 1 We transform and translate historical images, ideas, and artifacts, their material elements, contexts, and meanings, into ones we can understand and use in our own time. Yet some translations are more radically transformative than others. So it is with the practice of structural relocation. Buildings are not usually conceived as portable, so what happens when one is transferred from its original setting to one its builders never imagined? Numerous historically significant structures, from Abu Simbel and the Temple of Dendur to London Bridge and Newark International’s Building 51, have been relocated. 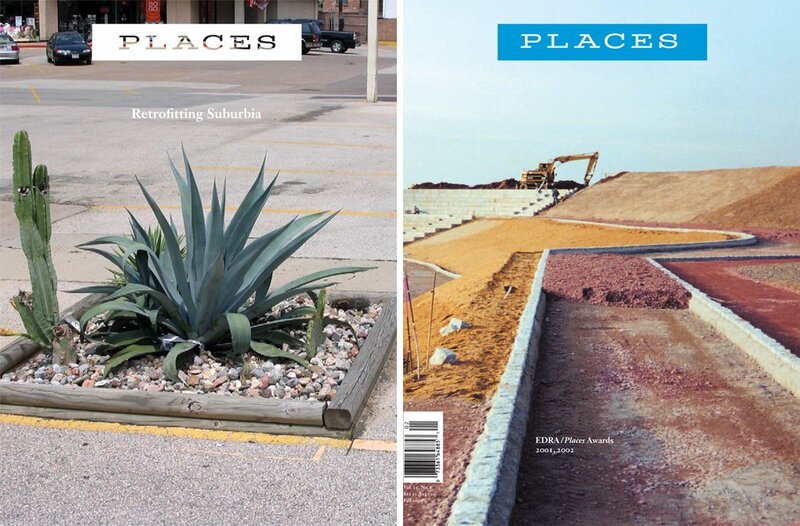 Such moves may carry benefits — rescue from demolition or decay, heightened accessibility, availability to new audiences, reuse of limited resources — but they also raise questions of aesthetic and material integrity, historical authenticity and meaning, and the value of historical and environmental context. Imagine you’ve just landed in St. Louis, Missouri. Eero Saarinen’s gleaming arch stands poised between a muddy Mississippi River once plied by real riverboats, now lined with immovable “riverboat” casinos, and a blighted, depopulated rustbelt city center still struggling to effect its own revival; the place smells faintly of hops from the nearby Anheuser-Busch brewery and more powerfully of exhausts from the freeway dividing downtown from the river. You drive west on Interstate 70, past fifty miles of exurban sprawl ranging in quality from bland to bleak, and on past another fifty miles of farm fields dotted by truck stops and fast food restaurants. Turning off the Interstate at exit 148, you head south for about five miles on Highway 54 to the pleasant but unremarkable town of Fulton, population 13,000, home of Westminster College — and home also of one remarkable and unexpected landmark. It is in Fulton, in the middle of Missouri, in the middle of America, that you find the one building outside of England incontrovertibly connected to England’s greatest architect: St. Mary Aldermanbury, attributed to Christopher Wren and built during his lifetime. What the devil is it doing here, you ask yourself, the first of many reasonable questions. On September 2, 1666, a bakery located along London’s Pudding Lane caught fire. The fire spread and by the time it was done, it had destroyed much of the city north of the Thames, including most of Aldermanbury parish. St. Mary was one of eighty-seven churches lost in the Great Fire. It was one of the first to be rebuilt, beginning in 1671 — one of fifty-one churches rebuilt according to the designs of Christopher Wren and, to a degree that remains uncertain, his assistants Robert Hooke and Nicholas Hawksmoor. 3 The new building blended the simple Palladian classicism of Inigo Jones with more elaborate Baroque features such as the large cartouches — which Nikolaus Pevsner called “grossly oversized, very proud and jolly volute scrolls” 4 — and a broad classical pediment framing the round-arched window at the east end. The rectangular plan featured a central nave with side aisles erected atop the charred foundations of the 15th-century church. The square, turreted bell tower was built upon surviving portions of the old tower. New walls were made of brick and stones taken from the ruined church. Taken for the sake of speed and economy, these moves also linked the new building directly with its predecessors and its ancient site. In the mid-20th century Pevsner called Wren’s London churches “the outstanding accents of the City” and “the ideal field in which to study Wren’s mind”; yet by Pevsner’s time, fewer than half of them remained intact. 5 Today, of the fifty-one London parish churches whose construction Wren oversaw, only twenty-three still stand intact on their original sites, and half of these have been substantially rebuilt. Along with the depredations of time and neglect, these central city churches faced declining parish populations as people left the center for the suburbs and commercial interests moved in. Many parishes were consolidated and church buildings deconsecrated and demolished. By the late 19th century, warehouses had replaced most of Aldermanbury’s small-scale medieval residential and commercial buildings; today, the modern offices of international corporations and government agencies stand where warehouses once did. Like a rock jutting from the sea, St. Mary stood unmoving while successive waves of development and redevelopment swirled around it. St. Mary’s shrinking congregation successfully resisted several Church-led efforts to demolish the Wren building and combine the parish with that of another nearby church. But eventually German bombers did what English churchmen could not. In September 1915, Aldermanbury was the target of a Zeppelin raid; several of the church’s windows were blown out but otherwise the building was unharmed. The next war took a greater toll. On the night of December 29, 1940, an incendiary bomb dropped from a Luftwaffe plane hit the church directly. The Aldermanbury neighborhood was devastated by the bombing and the fires that followed. St. Mary was left a burned out shell— one of thirteen Wren churches destroyed that night. The ruined church stood untouched and almost unnoticed on its ancient site until 1959, when another demolition threat loomed. This time, given the state of the building’s fabric, that threat would almost certainly have been carried out. Yet ten years later, on May 7, 1969, the completely restored church — comprised of all that remained of the original building fabric, save the foundations — was reconsecrated as a place of worship. Only now it stood in Fulton, MO, not far from the Arch, the riverboat casinos, the farm fields and all. The catalyst for the building’s renewal was Winston Churchill. In 1946, Churchill was invited by Westminster College to deliver a lecture in Fulton. U.S. President Harry Truman, a Missouri native, seconded the invitation and Churchill accepted. Titled “The Sinews of Peace,” the lecture quickly became famous for its reference to an “iron curtain” descending across Eastern Europe. By 1961, college administrators were discussing plans for a suitable memorial to the celebrated “Iron Curtain” speech of fifteen years earlier. The idea of transporting a London church to Fulton — inspired by a recent Life magazine article on Wren’s parish churches, many of them now ruined —was raised. Remarkably, the plan was realized. It was done so with the involvement of many people on both sides of the Atlantic, most notably Churchill himself, who called it “an imaginative concept” that might “symbolize in the eyes of the English-speaking peoples the ideals of Anglo-American association on which rest, now as before, so many of our hopes for peace and the future of mankind.” 6 Several damaged churches by Wren and others were considered before St. Mary was selected. Between 1965 and 1969, the building was dismantled, transported in six 100-ton shipments to Fulton, and painstakingly restored. Meanwhile in London, St. Mary’s original foundations were preserved as the centerpiece of the small park now located on the former church site. Contemporary news reports indicate that Londoners were puzzled and bemused by the project. 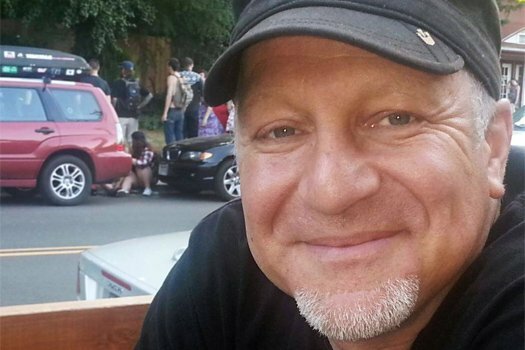 As one wire story from London put it, “Americans are known for being sentimental softies. But the current American project of shipping 650 tons of bombed-out church ruins to Fulton, Mo., is seen here as the last word in sentimental extravagance.” The “smoke-charred ruins” and weed-clotted site were seen as “eyesores,” the church as a second-rate Wren design even before the bombing. Locals were glad to be rid of it. As one architectural student put it, “If the Americans are so intent upon having a Wren church why don’t they copy one of his better examples?” 7 This assessment was supported by no less an authority than John Summerson. Within a year of the bombing — a time when his own sentimentality might have been expected to reach its peak — Summerson called St. Mary “an unattractive building” whose “naïve” detailing suggested that Wren wasn’t closely involved in its design. 8 In other words, the destruction was unfortunate, perhaps, but no great loss. Today, the church is the pride of Fulton. It serves Westminster College, the town of Fulton, and the surrounding region in a variety of ways. It operates first of all as a college chapel, a center of ecumenical worship for the Westminster College community. The building also hosts concerts, lectures, and other such public events. Major scholars, including the philosopher Paul Ricoeur, and world leaders such as Ronald Reagan, Margaret Thatcher, Lech Walesa, and Mikhail Gorbachev, drawn by the building’s association with Churchill, have visited the place and spoken to crowds either within the building or outside on the plaza that fronts it. The historic church is also a popular place for weddings and family reunions. But more than a place of worship, a setting for events, or a historically significant piece of architecture, St. Mary Aldermanbury is today best known as a memorial, museum, and library devoted to Churchill and his famous speech. The reconstructed building was officially rededicated in May 1969, as the “Churchill Memorial Chapel.” More recently it was designated the National Churchill Museum by an act of the U.S. Congress. In this capacity it is arguably the leading tourist attraction in central Missouri. Billboards on the Interstate and brochures in hotel kiosks urge travelers to leave the highway and make the short pilgrimage to “The Winston Churchill Memorial and Library … A Magnificent Memorial [that] Symbolizes the Triumph of Freedom.” Once there, visitors find two bronze statues of Churchill standing just outside the church — one defiant with cane and hat in hand, the other behind a lectern and a spate of microphones. Nearby looms a large graffiti-splattered section of the Berlin Wall, carved upon by Churchill’s granddaughter, Edwina Sandys. The church exterior and interior were restored as near as possible to their original designs, but in its Fulton incarnation, the building was raised above a partly buried base, a visible sub-story or undercroft that houses the library and museum. This area features exhibits telling of Churchill’s life and times and artifacts such as his childhood toys, letters and manuscripts in his hand, and examples of his oil painting. A corner room houses a small exhibit on Wren and the building and restoration of the church, but this is outside the main circuit of the exhibition space. The museum gift shop brims with “Churchilliana collectibles,” Union Jack coffee mugs, “Keep Calm” T-shirts, stuffed bulldogs, and the like. However careful its restoration, in moving across the Atlantic, St. Mary Aldermanbury inevitably became a thing apart from the building Wren once knew. Certainly, there are contextual and environmental factors to consider. Lifted from the dense urban fabric of one of the world’s largest cities, the church was set down upon a sparsely built college campus in a small town surrounded in every direction by miles of Midwestern fields and forests. Without its original setting, the building looks much different than it did: instead of being boxed in by other buildings, it now stands raised and isolated upon a pedestal, set before a deep plaza that frames its west end and provides stand-back views of the steeple — views that wouldn’t have been available to late 17th-century (or, for that matter, 20th-century) Londoners. Moreover, Missouri’s freezing, snowy winters and its sweltering, humid summers are far removed from anything that Wren or Hooke would have considered when designing for the much more mild and even climate of London. This fact has brought new stresses to the building’s fabric and challenges to its ongoing maintenance. There are substantial symbolic shifts as well. Imbued with a thousand years of English history, built on ground that witnessed a thousand years of history before that, St. Mary was uprooted from its native soil, severed from its source and floated across the ocean to be transplanted in strange, new ground — rather like Captain Bligh’s ill-fated breadfruit trees. Once relocated, the building was effectively grounded in a whole new set of associations. It now became an emblem of Anglo-American relations, of postwar American triumphalism and Cold War vigilance, a torch passed literally from old world power, old empire, to new. It seems fair to say that for most visitors over the past forty-odd years, Churchill and Truman have to a substantial degree displaced Christ and Christopher Wren as the animating spirits of this place. Those other spirits — Shakespeare, Milton, Edmund Calamy, the Worshipful Company of Haberdashers, the crucified lunatic of 1222, and so many others — they too still haunt this place, but they are now much harder to see, in most cases invisible. While much of what’s been moved during the past two or three centuries is ordinary stuff, re-sited for economic or sentimental reasons, a substantial number of historically significant structures have also been moved. Some of these have been relocated due to environmental changes or major construction projects. Egypt’s Abu Simbel Temples were moved because of a dam project, North Carolina’s Cape Hatteras Lighthouse on account of beach erosion. Many other structures have been acquired by museums or wealthy collectors and relocated as exhibits or trophies or tourist attractions. Great Britain and the United States are littered with open-air museums full of relocated historic structures — the Avoncroft Museum of Historic Buildings outside Birmingham, England, Old Sturbridge Village in Massachusetts, the Shelburne Museum in Vermont, to name a few. New York’s Cloisters Museum is built from portions of several medieval European buildings acquired early in the 20th century by George Grey Barnard. William Randolph Hearst, a collector of gargantuan appetites, twice purchased medieval Spanish Cistercian monasteries but was unable to rebuild either one; one ended up in Miami Beach, the other in San Francisco’s Golden Gate Park. 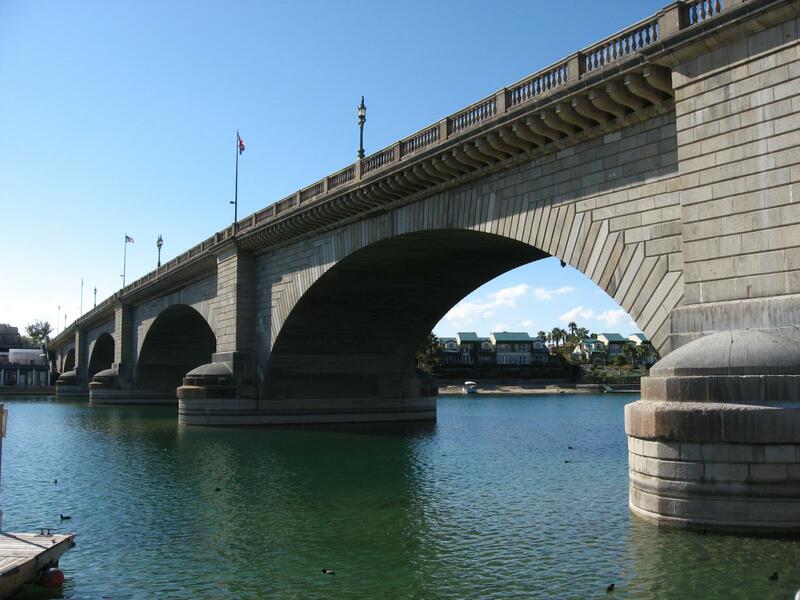 11 Manufacturer and developer Robert B. McCulloch bought London Bridge for $2.5 million U.S. dollars and plopped it improbably down in Lake Havasu City, Arizona, amidst an English-styled theme park and mock-Tudor shopping mall. Berlin’s Pergamon museum contains the pilfered Pergamon Altar, the Market Gate of Miletus, and the Ishtar Gate. The Ara Pacis stands inside a new Richard Meier-designed building in Rome, the Egyptian Temple of Dendur inside its own gallery within New York’s Metropolitan Museum, Mark Twain’s birthplace cabin inside a northwest Missouri pavilion reminiscent of Eero Saarinen’s TWA Terminal in New York. As these last examples demonstrate, whatever their intrinsic character and external circumstances, buildings set inside other buildings almost inevitably look like miniatures inside enormous snow globes. Restoration and relocation wreak havoc on contemporary notions of authenticity and heritage. Unease with structural relocation is a peculiarly modern preoccupation, however, one that doesn’t appear to have bothered Europeans in ancient or medieval times, when the use of “spolia” was seen to revive not ruin earlier buildings. 14 Modern relocation-aversion is related to the distaste for restoration that became widespread in the mid-19th century, when Gothic-Revival polemicists such as Augustus Pugin and John Ruskin proclaimed as inseparable the relationship between truth, beauty, and morality. Restoration resulted in fakery, unbeautiful and immoral. Ruskin admonished readers, “Do not let us talk then of restoration. The thing is a lie from beginning to end. … It means the most total destruction which a building can suffer: a destruction accompanied with false description of the thing destroyed.” 15 The “lamp of truth” demanded that things be left as they were found. These concerns were most pointedly expressed in modernist theories of organicism, which focused a near-fetishistic attention on the site. To remove a building from its original location was to cut it off from its connection to the earth, its source of vitality. Richard Neutra, in terms that evoke Ruskin’s finger-wagging, wrote in his 1951 book Mysteries and Realities of the Site, “My experience, everything within me, is against an abstract approach to land and nature, and for the profound assets rooted in each site and buried in it like a treasurable wonder.” In introducing that same book, Architectural Forum editor Douglas Haskell spoke of the site as that “piece of ground to which the house will forever be happily, or perhaps unhappily, wed.” 17 The key word here is “forever”: for Haskell, the prospect of relocation was unthinkable; a building divorced from its original site was a lifeless, alien thing, beyond comprehension, unworthy of consideration. Historical authenticity was a priority for the Missouri-based rebuilders of St. Mary Aldermanbury, and toward that end they used all available means to achieve the most accurate possible restoration. But the building’s original setting was forever lost with the move across the Atlantic. If we accept Neutra and Haskell’s terms, St. Mary, removed from its native setting and transplanted to an alien one, is as dead as dinosaurs, a dismembered and reanimated corpse at best. The continuing significance of a building is often only scantly related to its setting. Something similar might be said of St. Mary Aldermanbury. The building’s connection to English soil and to prewar English history was severed long ago. But during the past forty years it has been embroidered with a new history, a history of Cold Warriors, Midwestern weddings, and generations of college students who’ve wandered in its midst. In short, the building is dead. Long live the building. A version of this paper was presented at the annual meeting of the Society of Architectural Historians of Australia and New Zealand on July 4, 2014, in Auckland. David Lowenthal, The Past is Foreign Country (Cambridge: Cambridge University Press, 1985), 263. Historical sketch drawn from Christian E. Hauer, Jr., and William A. Young, A Comprehensive History of the London Church and Parish of St. Mary, the Virgin, Aldermanbury (Lewiston, NY: The Edwin Mellen Press, 1994). At St. Mary Aldermanbury, the parish paid both Wren and Hooke: Wren received twenty guineas, Hooke ten, though Hooke may have had the greater hand in the design. See Paul Jeffery, The City Churches of Sir Christopher Wren (London: The Hambledon Press, 1996), 64, 85, 93-109, 175-177. Nikolaus Pevsner, The Buildings of England: London I, The Cities of London and Westminster (Harmondsworth, Middlesex: Penguin Books, 1957), 151. Pevsner, The Buildings of England: London I, 63. Hauer and Young, A Comprehensive History, 378. Tom A. Cullen, “Britons Wonder About Yankee Extravagance,” The Daily Times-News (Burlington, North Carolina, 4 August 1965), 26. Cullen’s byline reads “European Staff Correspondent, Newspaper Enterprise Association, London.” His story appeared in papers across the U.S., including ones in North Carolina, Kansas, Arizona, West Virginia, Ohio, and Nebraska. J.M. Richards and John Summerson, Bombed Buildings of Britain, A Record of Architectural Casualties: 1940-41 (London: The Architectural Press, 1942), 21. Peter Paravelos, Moving a House with Preservation in Mind (Lanham, MD: Altamira Press, 2006), 62-63 . See also John Obed Curtis, Moving Historic Buildings (Washington, D.C.: U.S. Dept. of the Interior, Technical Preservations Services Division, 1979). Paravelos, Moving a House with Preservation in Mind, xiii. John Harris, Moving Rooms: The Trade in Architectural Salvages (New Haven: Yale University Press, 2007): on Barnard and the Cloisters, see 149, 165; on Hearst, see 219-228. See sections related to Cultural Resources Management from National Park Service Management Policies, 2006. Jenny Gregory, “Reconsidering Relocated Buildings: ICOMOS, Authenticity and Mass Relocation,” International Journal of Heritage Studies 14:2 (March 2008), 127. Richard Brilliant and Dale Kinney, eds., Reuse Value: Spolia and Appropriation in Art and Architecture from Constantine to Sherrie Levine (London: Ashgate, 2011). Statement of 1849 quoted in Nicholas Stanley Price et al., eds., Historical and Philosophical Issues in the Conservation of Cultural Heritage (Los Angeles: The Getty Conservation Institute, 1996), 322. Lowenthal, The Past is a Foreign Country, xxiv. Richard Neutra, Mysteries and Realities of the Site (Scarsdale, NY: Morgan and Morgan, 1951), 14, 7. Gregory, “Reconsidering Relocated Buildings,” 127, 113. John Henry Merryman, “Whither the Elgin Marbles?,” Imperialism, Art and Restitution (Cambridge: Cambridge Univ. Press, 2006), 98-113.